Articles Speakers CornerDo you think Organ Donation should be Opt-in or Opt-out? Do you think Organ Donation should be Opt-in or Opt-out? The UK has one of the lowest organ donation rates in Europe and, while only 5% of the population oppose organ donation in principle, less than 40% of people are registered as organ donors, according to Scottish government research. The current “opt-in” system of organ donation – where individuals are asked to register their willingness to be a donor after their death – has been the subject of debate for many years. 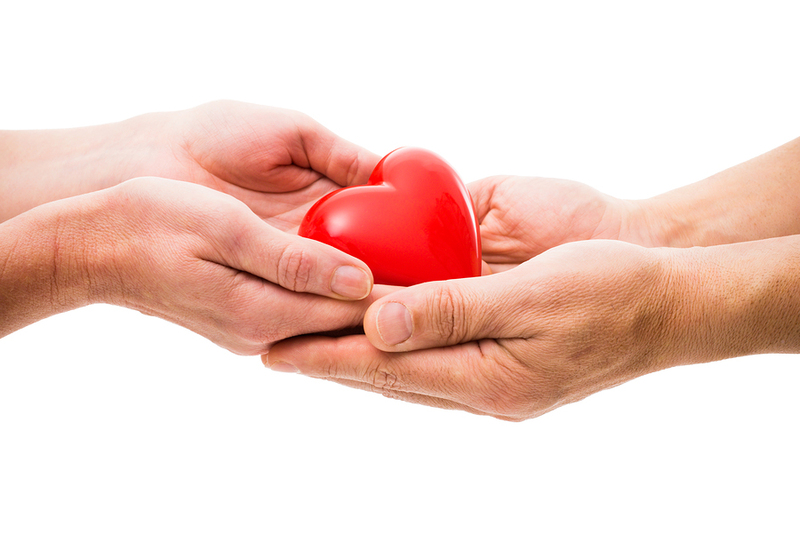 Due to the serious shortage of organ donors and consequent waiting lists for transplant operations in the UK, it is often suggested that the altruistic approach to organ donation is in need of review. The British Medical Association (BMA), many transplant surgeons, and some patients’ groups and politicians are keen to see Britain adopt a system of “presumed consent”. In this system, unless an individual has expressly refused to donate or “opted out” by registering their objection to donating their organs, it is assumed that they do wish to be a donor. So what are your views? Would you be happy to be an organ donor? Should we change the present system to allow for more lives to be saved or are you happy to ‘opt-in’ ? Humble's viewpoint is okay if you're past your sell by date but what about someone in their 20s 30s 40s 50s needing a transplant of any description? My husband needed a new heart valve at age 50. Okay not a transplant donated but same principle. I'm glad he's still around (well most of the time!!!) and I'm sure he wasn't ready to quit at 50! Sorry, voted in the wrong direction. Must be "brain fog". It's no use to you if you're dead so why not let it be of use to someone else. Can't understand opposing view. I hope I am entirely of use for organ donation when I drop off the perch. 100 per cent opt in. If you can give life from your own why not. Sorry, but I keep thinking about this wish to prolong Life as an entry to a situation of despair ... I have known two cases of people who had a heart transplant. They lived a little longer, but they were not free of visits to the Hospital and Doctors...and more Mds. Then ,they were told they needed a new heart. One said No to it as she preferred to pass on... The other, whom I met, accepted a man's heart. She used to joke about it. She soon needed another heart and refused saying it was time to go. This one offered to help research to improve Herat Transplants in the future. We need to face Death as a part of what we are. We walk towards it the moment we are conceived. I do not mean we must think about it all the time, but we need to learn to accept it without fear. If I hadn't had my renal transplant when I did, I would have had to go on dialysis. There is only so long your body can take this treatment, so I would have died before I was 40, leaving behind two sons who would then be teenagers. Instead, I was around to see them grow, to become independent young men, caring, funny individuals now with children of their own. I was around to share all these years (almost thirty now with my transplant) with my wonderful husband, to train as a counsellor, become a published writer, make friendships. It's true that so many years on strong drugs take their toll and bring other problems, but none that can't be treated, taken care of. I am alive, love every day, treat it as a gift. And the kidney was a precious gift that was the best I could ever receive. But what a beautiful story yours is ! Of course, there is also that part to why it is important to carry on, and yours is so very inspiring. I guess, there are many reasons for why ...and a few for why not. In your case, i'd most certainly do as you. I do hope and wish you the best life still has to offer for many more years to come. I know someone who had a heart transplant several years ago and whose life has been transformed. There is a shortage of donors. Would you say face death to a young person whose organ(s) had been damaged by infection who was otherwise healthy? We need to face Death as a part of what we are. We walk towards it the moment we are conceived. I do not mean we must think about it all the time, but we need to accept it without fear. I feel strongly that organ donation should be a conscious decision by the individual. The government knows that there would be many more organs available for transplant by default if there was an opt-out scheme, because the vast majority of people would never get around to doing that, but the grieving relatives may have no idea that their loved one will be returned to them for burial or cremation with parts of them missing and this is something else to come to terms with at an already difficult and sensitive time, when emotions are running high. Much better that they should be informed by the donor himself, that this is what he wants, so there are no shocks. If it was opt out, everyone would know. Relatives would not have to make decisions. Unless you have religious objections, I can't see the problem- you don't need them if you're dead! I CANNOT SAY I WOULD LIKE TO DONATE MY ORGANS SOUNDS HARD WHEN YOU HAVE LOST A LOVED ONE, AND THATS THE ONLY THING THAT COULD HAVE SAVED THAT PERSON,I HAVE LOVED AND LOST HUSBAND BABY SON, I WOULDNT HAVE ASK FOR A DONER IF IT WOULD HAVE HELPED, WE CAME ON EARTH COMPLETE WE SHOULD GO THAT WAY.ITS HARD TO LOSE LOVED ONES, BUT I HAVE TO BE PRACTICAL, I WORKED IN THE MEDICAL FIELD SEEN A LOT, NOW WE HAVE SO MANY OLD PEOPLE AND NOT ENOUGH YOUNG, MEDICINE HAS LET US GROW OLD AT THE EXPENCE OF OTHERS. So would you do nothing, allow no interventions, to save a life? Five people can have the chance of a life, from the death of one person. I know how hard it is to lose loved ones.... I lost both parents, first husband and only grandparent all within a few years. Nothing could have been done for any of them, but if it could, then I would have been on my knees with gratitude to anyone who could help. Do you also not believe in living donors, ie a brother donating a kidney say, to his brother who needs it? And as for entering this world complete, that's true in the majority of cases, but how about those people who lose limbs in war, and accidents, or through illness. They can't help what happens to them any more than the majority of people needing transplants. We are all entitled to our opinions of course, but yours, if I may say so with respect, seems harsh. Some people seem to forget that we all have the right of choice and it is not a choice if something is already decided for us, with the option of actively opting out afterwards. The Government may as well say we all have to allow a homeless person to sleep in our spare room, unless we actively opt out! After all, just look at the benefits of that idea! Definitely opt-out! Until very recently, I followed a page on here called Save5 which was set up by a lovely woman with a rare lung condition waiting for a double lung transplant. While she waited, she set about encouraging people to save 5 lives by signing up,to the organ donor list. Very sadly she died just before Christmas, and I miss her posts. Ask yourself this: if you, or someone close to you needed an organ transplant, would you accept one? If the answer to that is 'yes', then you need to be prepared to donate too, should the need ever arise. So please, sign up now! Having been the recipient of the very precious 'gift of life' back in 1986, I am all too aware of the need for more donors, then and sadly, now. This is a situation that should have improved massively over the years. People are inherently lazy, and whilst they may think it's a good idea to be a donor, many never actually do anything about it, they 'can't be bothered'. They think it will never happen to them... ignorance is bliss. It can and does happen to anyone. People are dying on a daily basis waiting for a transplant. So if there are people who can't get off their backsides and do something positive to help, then making them opt out seems to me the best way to increase the numbers of willing donors, because they probably can't be bothered to do that either! I'm for this - you may as well be useful when you die. Opt out definitely. Too many people that would be more than happy to donate never get round to registering and many lives are lost as result. Young people just don't think about opting in as they don't think it's relevant to them or they just can't be bothered to fill in the forms. Presumed consent would dramatically increase the number of organs available so it has to be a good thing. I think it should definitely be opt out. There are hundreds of people waiting around for vital organs like kidneys, livers and others who desperately need these organs but are unable to get them and in some cases die due to the shortages. Also I am sure it would make hospitals jobs a lot easier if they had a lot of organs available rather than trying to get them from all areas of the country. Think we should lobby the government and NHS about this as it could be in all of our interests one day or our families-you never know!